This is the fourth in a series of Worlds End 11oz Ceramic Mugs, with artwork by Tim Perkins. The ceramic mugs are branded with the Worlds End characters and logo and are an additional piece of merchandise linked to the series of Worlds End "Science Fusion" Graphic Novels. 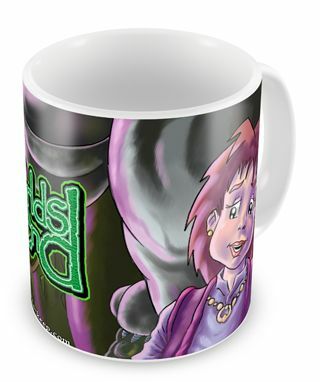 The series consists of six fully illustrated, full colour, Worlds End themed mugs.